2. While walking on the street with a woman, come to a complete and unexpected stop. See what she does. Works best when she is walking directly behind you. 4. If she says something to the effect of "see you later," "see you in an hour," etc. reply with, "Thanks for the warning!" 5. Finally, if she posts a stupid picture on Facebook (i.e. 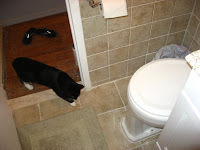 her remodeled bathroom), start tagging all the mundane objects in the picture (floor, tiles, TP, sink, etc.). Then add a photo comment of "Dork!" I use the "thanks for the warning" on my boyfriend ALL the time. change the title to "...mess w/ people" and maybe Jessie wouldn't be so upset- Things always go BOTH ways! Yup, and this is why no decent woman will ever love you. Sad. You need to get over your bitterness, or you'll keep on getting abused by women again and again and again forever.